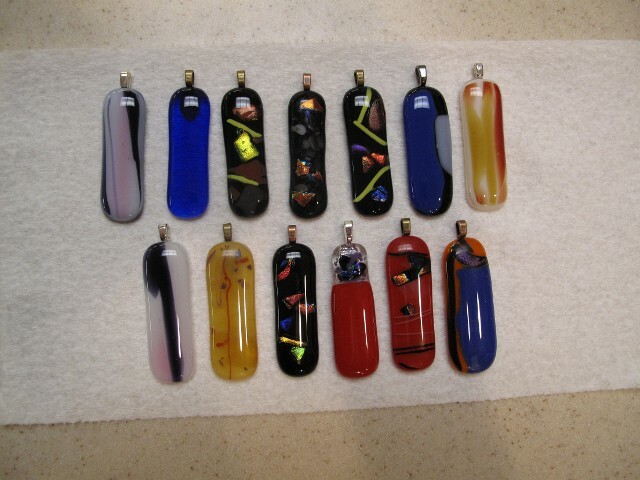 Dichroic Fused Glass Jewelry is a form of wearable art that is highly sought after. Each piece is hand-crafted by the artist with multiple layers of glass and fired for hours in an extremely high temperature glass kiln, sometimes more than once, to fuse the glass layers together. Some of the pieces are etched with designs or layered with artwork. No two pieces are alike. You will be purchasing an heirloom piece. The necklace cord is double slip knotted. Wear it long by pulling the knots together. Wear it short by pulling the knots apart. Or transfer the pendant to your own favorite chain. This page is UNDER CONSTRUCTION. Please check back later to order our wonderful dichroic glass jewelry and fine art pieces.